During the past few decades the financial world has gone through extensive transformation. Deregulation of financial markets, forced by dramatic technological advancement has torn down the barriers that had existed between national and international money and capital markets, as well as between banks, insurance companies, and stock brokers. Competition has become severe. World-wide financial service companies have begun restructuring their business lines and have started developing new products and markets. The recent financial crisis as well as the severe competition showed the importance of understanding financial markets in detail and highlighted the necessity of a solid risk management. Unfortunately, for financial intermediaries life has become ever more complex. It is therefore no wonder that they are constantly in need for specialized people: economists who understand the mechanics of financial markets will always be scarce. To participate in decreasing this shortage, the Department of Financial and Banking Studies of Sudan International University launches an advanced program in Financial and Banking Studies. To qualify employees in banks, insurance companies and financial markets, as well as those who are working in companies in all financial sectors. 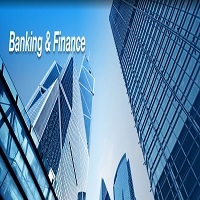 To enable them acquire knowledge about modern financial industry operations, activities, products and techniques. To enable them upgrade their capabilities, along with assuring operational and knowledge of best practices. Bachelor Degree with a minimum grade of “Good” or its equivalent in Banking and Financial Studies, Finance, Economics, or any relevant discipline from any accredited university recognized and authenticated by the Sudanese Ministry of Higher Education and Scientific Research.. Bachelor Degree with a grade of “Pass” or its equivalent in Banking and Financial Studies, Finance, Economics, or any relevant discipline, from any accredited university recognized and authenticated by the Sudanese Ministry of Higher Education and Scientific Research, plus two years working experience in banking and financial institutions or any related field. The first two semesters* are general for all M.Sc. students. Students who fail to score a minimum of CGPA of 2.5 (or 60%), upon passing any due supplementary exams (where the pass mark is 50%) and satisfying the requirements, will be granted a Higher Diploma in Financial and Banking Studies by SIU academic Council upon the Faculty board recommendation. Students who score at least a minimum of CGPA of 2.5 (or 60%) can proceed to M.Sc. program in one of the aforementioned two specializations. M.Sc. students must pass the examinations of all subjects stated in the M.Sc. program requirements and score a minimum CGPA of 2.5 (i.e. 60 %.). A student must complete a research paper in one of his/her specialization areas in semester 4. The M.Sc. program will be conducted in English. Therefore, candidates are expected to demonstrate a reasonable level of fluency in English. Participants have to attend and pass pre-enrolment Intensive English Language Program (IELP). A semester is 16 weeks.